For anyone that enjoys the Abe Lincoln sites, the downtown Abraham Lincoln Museum, the train station accross the streetis the place to be. Sometimes the lovely bronze statues of Honest Abe and his family .like the one above that dot the landscape are overlooked. Abe sightings are common in Springfield, but it is easy to forget to take the time to enjoy the craftsman ship that went into both the architecture of the buildings and the sculptors talent. One of my favorite Abe sightings is outside of the Feed Store where some of the best soup I know of is made. My personal favorite is the mushroom bisque teamed up with a chicken salad sandwhich. Other family members argue that the brocolli cheese or potato soup is the best. Outside the Feed store are some great family sculptures of the Lincolns and around the corner is the Law office which is also often an overlooked gem in the Capital City. 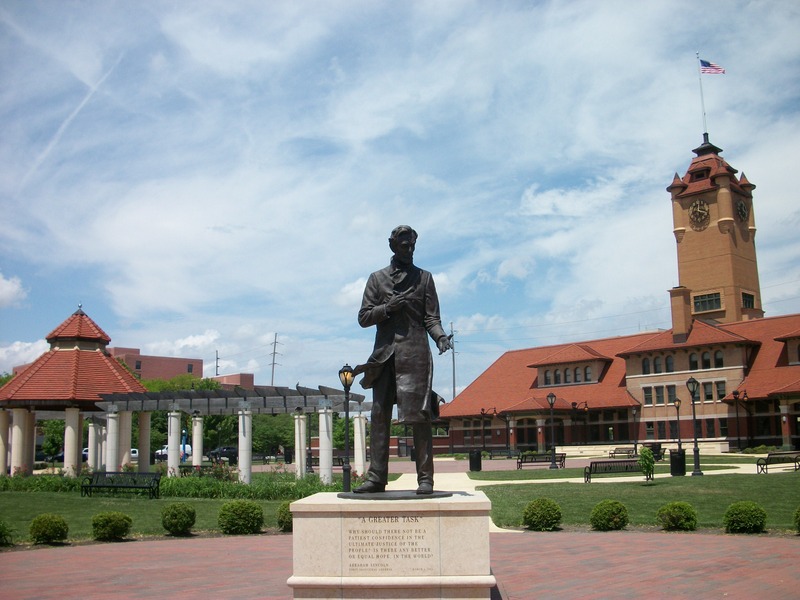 The weather is warmer, the travel bug is biting, put on your walking shoes and visit the Land of Lincoln, Abe is waiting! Springfield is one of the best kept treasures on history in the Midwest. The Lincoln Museum is one of the best museums anywhere…and in my opinion the primary permanent exhibit on Lincoln is the singe best museum exhibit I have ever seen!